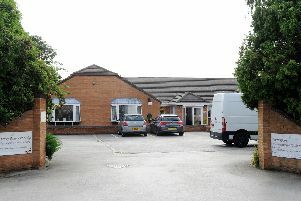 A ‘cynical ploy’ which makes the ‘most vulnerable’ foot the bill for adult social care in Doncaster has been criticised by councillors. Figures show nearly £13 million of this deficit is down to adult social care. Coun Rachel Blake who’s responsible for adult social care and business portfolio holder Coun Bill Mordue launched scathing attacks on Government. They both hit out at the adult social care precept which is ring-fenced funding at two per cent paid for through an increase in council tax. Mayor Ros Jones has previously said the majority of the council’s revenue budget is used for social care. Coun Blake urged the Government to press ahead with draft legislation on reforming how social care is funded and said it was ‘disgusting’ the burden was being passed on to to ‘the most vulnerable’. She said: “Anybody who looks at the budget will see the pressure on adult services. “Everyone was delighted about the NHS funding announcement a few weeks ago but within that there should’ve been something for social care. “If we are on our own, we’d have a problem but we’re not because there isn’t a day that goes by when you don’t see some council or some charity complaining about the fact we’ve not had Green Paper and the reforms that we need. “We might have a transformation problem getting people to promote independence and reduce dependency which is all fantastic, the gap is there and there will come a time where it will be difficult to carry on those services. Coun Mordue added: “We’ve come up against some staggering cuts in Doncaster yet we are still providing services. “The social care precept is pretty unfortunate – it’s a cynical ploy by Government because they should be funding social care yet they’ve forced it on local authorities and people who are struggling to pay. “Not does it only increase the burden on them but it makes the council look as if we’re putting the tax up by five per cent – even though we are they (Government) should be funding that two per cent.